The best way to look for fresh ideas for interior designs is to browse through the pages of an interior design magazine whether you are an interior design student, established designer or designer-in-chief at home and need to keep up with the Joneses. Interior design is both dynamic and static in the sense that old themes are revisited however with modern interpretations. Picture yourself all curled up on your sofa with a cup on coffee with piles of interior design magazines stacked up next to you. This is definitely not time wasted and provides inspiration for current projects and keeps you abreast of the latest developments in interior design theory, practice and materials. Without further delay, here are our list of the Top 10 Interior Design Magazines that you can read for inspiration. This magazine is just over ten years old and ever since it came into the market, it changed the whole industry. The design is a perfect mix of architecture, interior design and sustainable design. The magazine shares with its readers practical designs and educates them on applying the same. The magazine makes easy reading yet has the depth of content necessary to give due attention to modern creative interior design constructions. Dwell magazine also publish a blog dwellondesign.com which provides snippets from the main magazine – well worth a look. This is the magazine where the best of the best in the field of architecture and itnerior design showcase their art. It’s safe to say that the layout and design of this magazine make it worth every penny. With every page you tun, you are positively inundated with the depth and diversification of designs. 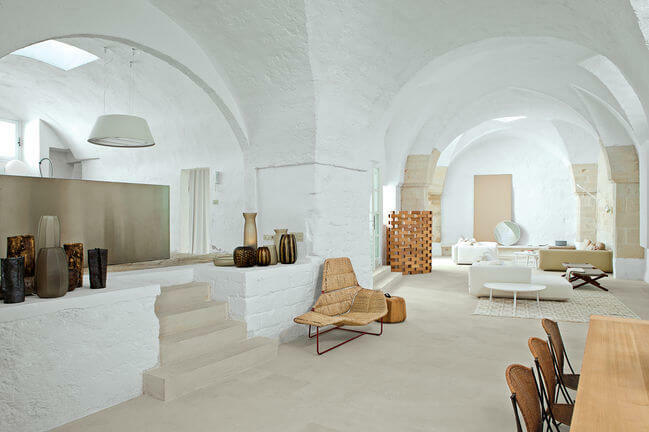 The Architectural Digest oozes color, style and culture. It is a market leader in the design industry. This magazine came into existence as a spin off from the original Elle Magazine for women that showcased women issues and lifestyles. Elle Decor showcases elegant, modern and sophisticated designs and educates its readers on new and unique interiors, luxury living, products and applications. Perhaps the oldest publication in matters interior design. Better Homes and Gardens offers its audience practical and useful information on home decor, interior designs and furnishings. The magazine is not solely about interior design but that said it offers its readers a variety of styles and themes that one can implement around their home and gardens. This magazine is such a homely magazine that offers its readers a comforting and feel good feeling and pushes them to make small but important changes within their home. It’s generally very subtle and does not go the avant-garde route. Readers of this magazine are pushed to make small but effective changes to give their rooms a new lease of life. The tips offered are often practical and they can be implemented instantly. Definitely a must have for anyone who wants to learn a thing or two about designing their home afresh. The magazine runs a segment called “Instant Room” which is quite unique and very informative. Their tips are in time with the times and any reader would definitely benefit from all the advice that is showcased in the magazine. One can correctly call this magazine a magazine for the people. This magazine is tailored for readers who want to get the inside information on modern living and the most current trends. Its pages are full of advice on decoration tips, how to style your home, shopping advice and where to go to get the best deals and discounts. This is the best magazine for new homeowners who want are looking for direction on which style to use for their new home. The magazine also runs a wonderful website where readers can find useful information to all things they read on the magazine. This magazine is primarily targeted to people who are all country. The magazine pages are full of content covering topics of home makeover ideas, tips of running businesses at home, and all what you can think about when you think about life in the country. The magazine is focused on ideas for say season themes like Christmas or Easter. It is a magazine for those who have, or aspire to have country homes in idealistic locations. Dezeen is published digitally and their sole mission is to give its readers the inside information on internationally approved interior designs, new and upcoming styles of architecture, interiors and projects that are being undertaken the world over. The magazine started with its first publication in the year 2006 and one can well say that it is ranked among the most influential digital interior design magazine. The magazine also runs carefully written features to give readers a deeper look into the world of interior designing. Well known as a contemporary magazine offering eclectic design tips to all of its readers. The magazine is known for striking a balance of eclectic and modern and how to achieve these styles without going overboard. Most of the images that run in the magazine are very artistic and they often showcase designs and concepts that are outside of the box and still functional. Another plus for purchasing this magazine is the fact that you can get first class access to furnishings that unique and rare. Considered as the “Vogue” when it comes to magazines that write about interior designs. It’s mostly glorious and makes all the designs appear like those in a gallery. The main focus of this magazine is on the illustrations and images of the different trends in interior designs. Definitely the best choice for people who want to find lucrative and finer interior designs.